More about Halva European Style Strawberry Licorice Finland is known for licorice, and Halva is known as one of Finland's best licorice makers. 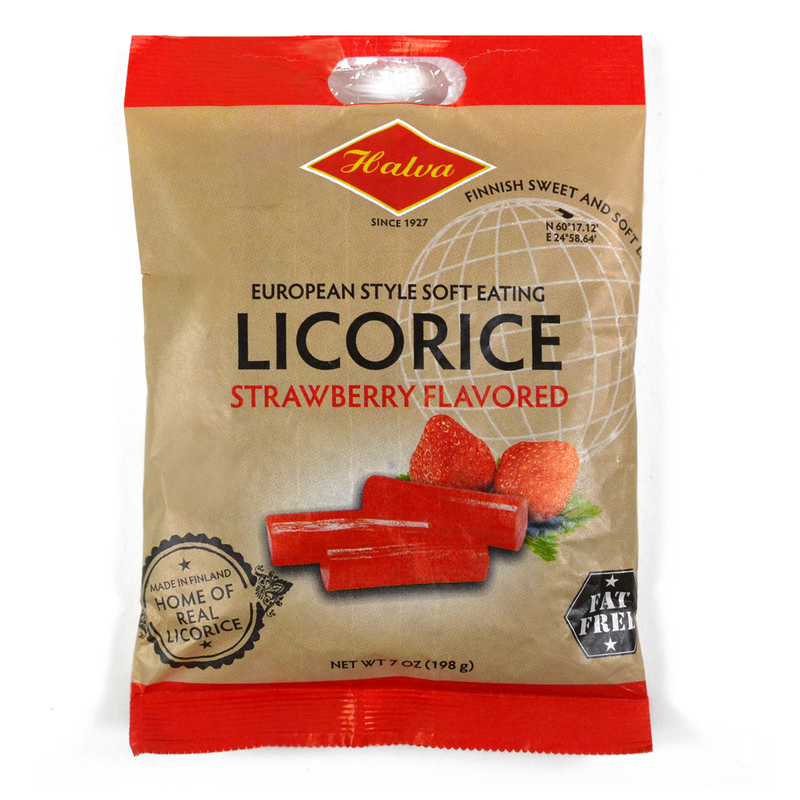 Established in 1931, Halva creates this sweet, soft, fat-free, strawberry licorice using only the finest ingredients available. 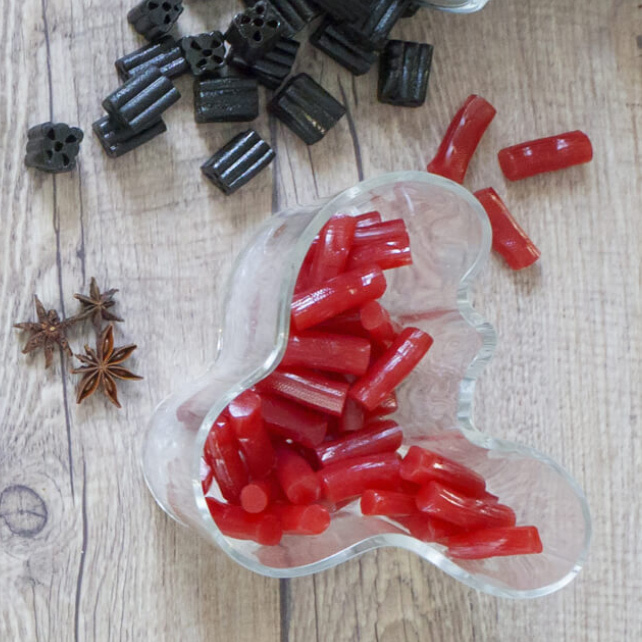 This makes a great stocking stuffer for a fan of Finnish licorice, and an authentic treat for yourself, too. Halva is my new favorite licorice, both the red and the black. I was a Panda fan, and still think they are a quality licorice, but the Halva has a smoother flavor; and I like the firmer texture, which is not at all hard, just firmer.